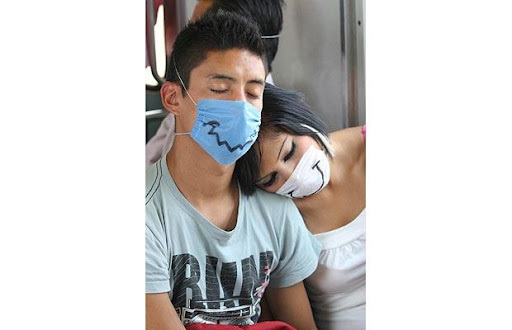 Influenza porcina, swine flu, has been found to be a combo of pig, bird and human flu viruses. Despite a huge economic hit, Mexico has closed schools, theaters, concerts, even restaurants and wedding halls. They’ve urged people to stay home despite this being a 5-day holiday weekend. As it’s a new strain of flu, it’s of course a serious situation and demands caution. I’ve learned a couple of things. Most people hear “pandemic” and think “death.” Pandemic seems to have the definition of a disease that hits a certain number of countries. That disease does not necessarily have to be fatal. 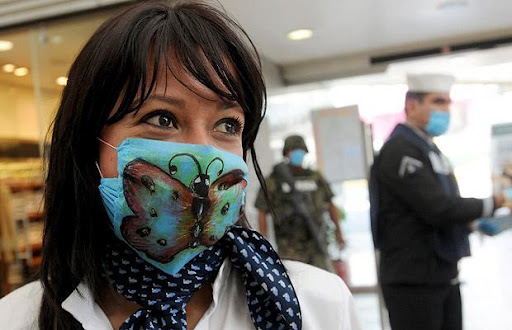 The WHO (OMS) and the US CDC (Center for Disease Control) do not necessarily agree on how to respond to a potential pandemic, or a new strain of virus. 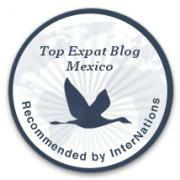 One of the things we love here in Mexico is the great humor of the majority of the people. There are quite a few songs about the swine flu. 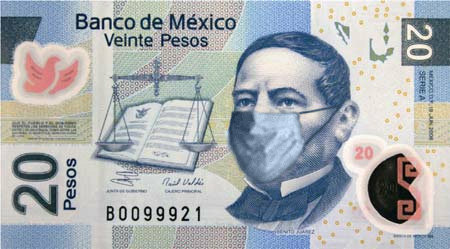 My favorite is the Cumbia de la influenza. 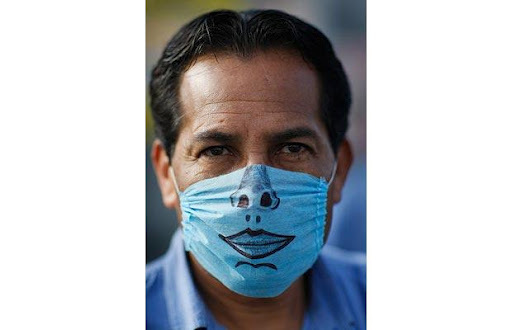 Many people, particularly those in the hard-hit Distrito Federal, and those who interact with the public, are wearing “tapabocas” or “cubrebocas,” face masks to prevent the spread of the germs. Check out some of the ways locals have found to alleviate the fear. Hopefully the scare will be short-lived and all the precautions taken proven unnecessary. Hopefully school will start again on Wednesday, as originally planned, or I’m afraid our kids will be studying well into summer and not get much of a break. And, hopefully, all of you are washing your hands frequently, drinking plenty of clean water, getting your rest, and staying healthy.